Please view this short video or follow the instructions below on how to create a Custom Report in Payflow, or follow the instructions below. 1. Name the Report in the Save Template As field. It can’t contain spaces, it must be all one word. 2. Leave the Date Range as is, so you can change that as needed while you run the report. You can change card types and transaction types if you want, as well as min and max amounts, but it may serve you better to leave all these as is. 5. Display Fields (highlight and tap the ADD button for the following) - I would add : account #, Authorization Code, Amount, Batch ID (this will show your nightly batch),Expiration date, Original Transaction Id, Pending reasons, Purchase order # (this is the Invoice # from SuccessWare21), Response message, Result code, Settled date, tender type, Transaction time, Transaction State (this will show Approved, Declined states etc), Transaction Type. Scroll to the bottom and press Save Template. 6. 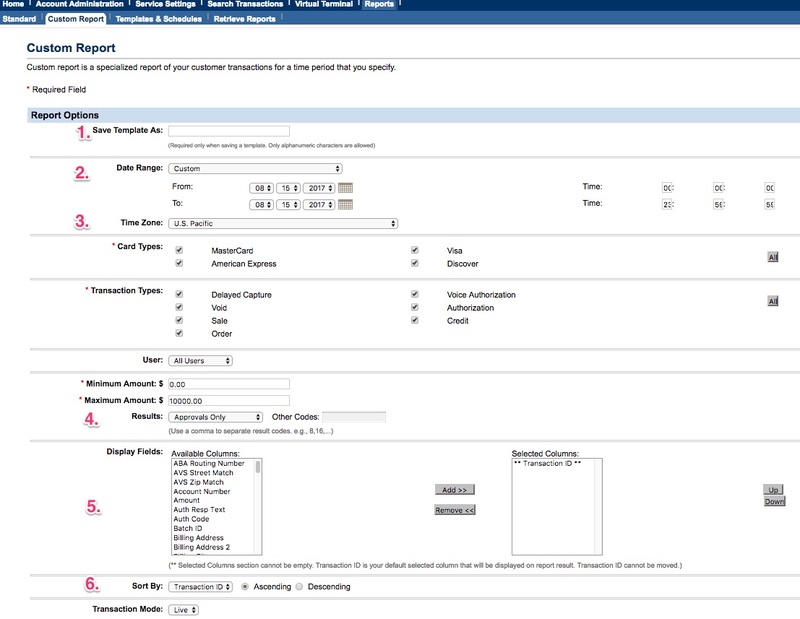 Sort By - change to the Invoice # option. 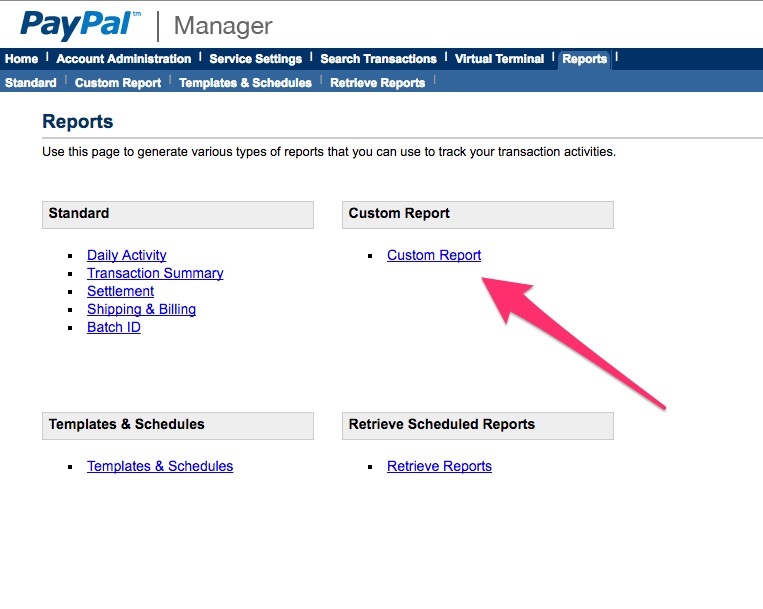 Now you can press Run Report to see the custom report in action. Click Reports in the upper right-hand corner. 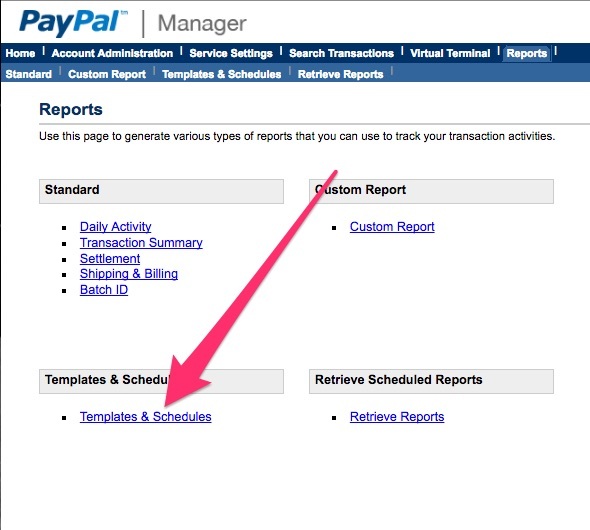 Then click Templates and Schedules. Click the Edit button next to the template you wish to edit. You can now change the date range and then click Run Report.